Wicklow County Council has opened an online Book of Condolence for people who wish to express their sympathy to the families and friends of the victims of the Christchurch, New Zealand, attack. 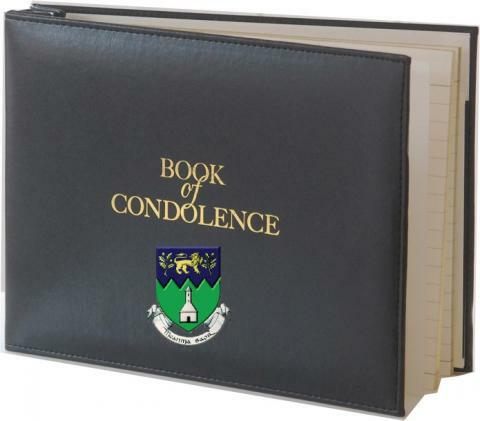 Members of the public are invited to sign the Book of condolence on line at https://www.wicklow.ie/Living/Your-Council/Customer-Care/Books-of-Condolence. “On behalf of Wicklow County Council and the people of Wicklow, I wish to extend my deepest sympathies and condolences to the families and friends of those killed and injured. Our thoughts and prayers are with them at this difficult time,” said Cllr Pat Vance, Cathaoirleach of Wicklow County Council. Mr Frank Curran, Chief Executive of Wicklow County Council said: “By opening this Book of Condolence, Wicklow County Council is giving the people of County Wicklow the opportunity to express solidarity with the people of New Zealand following this meaningless attack”.